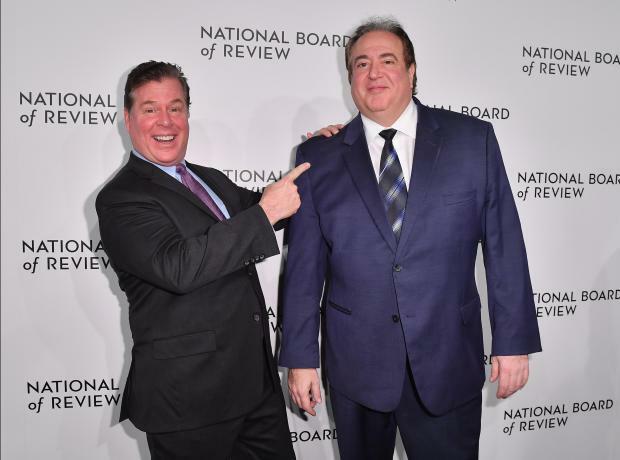 Green Book co-writers Brian Currie (L) and Nick Vallelonga (R) attend the 2019 National Board Of Review Gala. Green Book screenwriter Nick Vallelonga has issued an apology for an anti-Muslim tweet from 2015 in which he expressed support for false claims that Muslims were celebrating in New Jersey following the 9/11 terror attacks. "I want to apologise. I spent my life trying to bring this story of overcoming differences and finding common ground to the screen, and I am incredibly sorry to everyone associated with Green Book," he said in a statement late Thursday. "I especially deeply apologise to the brilliant and kind Mahershala Ali, and all members of the Muslim faith, for the hurt I have caused," he said. "I am also sorry to my late father who changed so much from Dr Shirley's friendship and I promise this lesson is not lost on me. 'Green Book' is a story about love, acceptance and overcoming barriers, and I will do better." He issued a statement apologizing for his behavior.